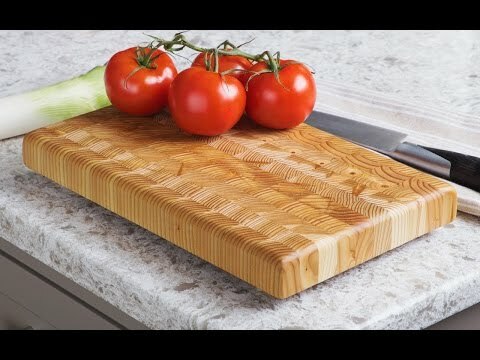 This glossy, self-healing end grain cutting board is made in a small, Novia Scotia mill. The wood is from there, too, and it’s cut to expose the intricate patterns and gradients of the tree’s growth rings. Because the fibers are lined vertically, they close and heal after you’ve cut them. The board heals itself and also helps keep your knives sharp. It even has rubber feet to prevent moisture from getting trapped. 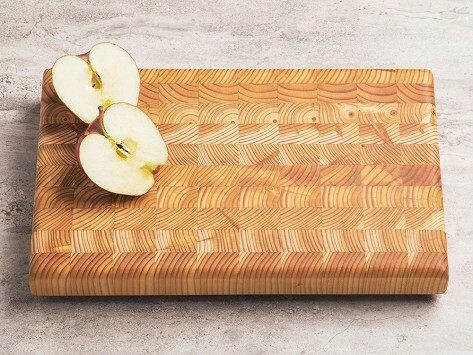 With the proper care and seasoning, this heirloom Larch Wood board will last you a lifetime. Dimensions: 12.5" x 7.87" x 1.25"
Such amazing quality, easy to care for, beautiful to use for serving cheeses etc. This will last a very long time. The board is not only beautiful, but works as advertised. This purchase is a gift, it's beautifully made!